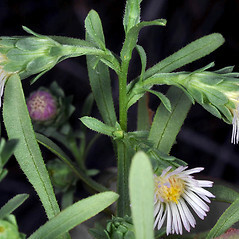 Leafy annual American-aster, native to the western states and Baja California, Mexico, was found in the waste area of a nineteenth century wool carding plant in Maine. In its native habitat, it prefers saline or alkaline shores of lakes and ponds, and swamps. 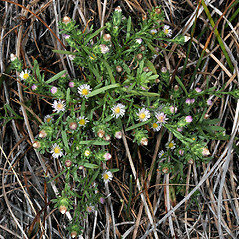 involucral bracts with a chartaceous base and chlorophyllous tip, of several conspicuously different lengths, and ray flower corolla longer than the style (vs. S. frondosum, with involucral bracts, especially the outer, herbaceous, of nearly equal length, and ray flower corolla shorter than the style, the style protruding from the corolla). ray flowers numbering 75–95 or more, lacking rays altogether (vs. S. frondosum, with ray flowers numbering 90–110 or more per capitulum, with a short, but evident, strap-like ray 1.5–2 mm long). 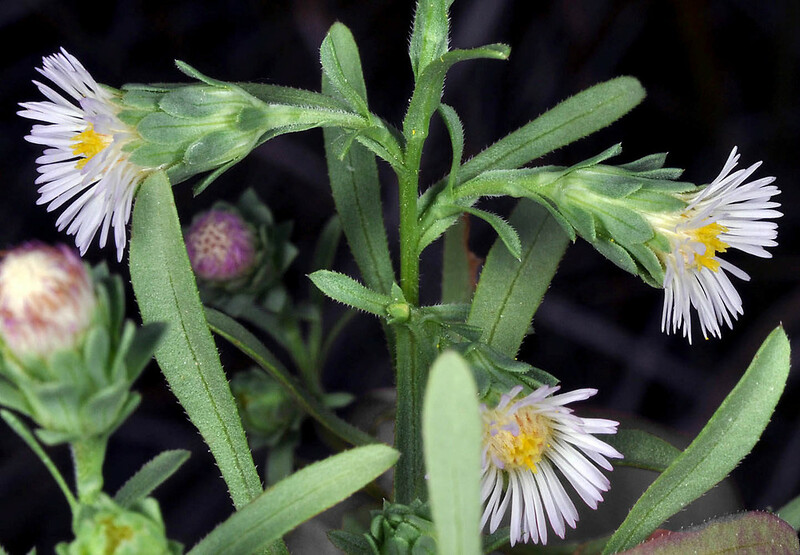 leafy annual American-aster. 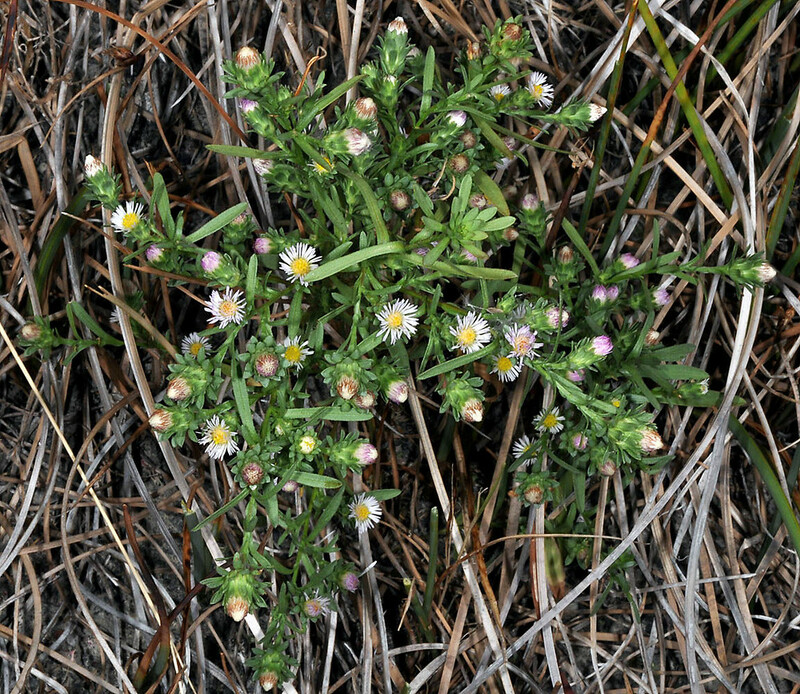 Aster frondosus (Nutt.) Torr. & Gray; Brachyactis frondosa (Nutt.) Gray; Tripolium frondosum Nutt. • ME. Wool waste.